Love Is Born. Hope Is Here. This book is only for people who love Christmas as much a Max Lucado does. For people who adore the reason AND the season. Want to discover a creative and reflective way to deepen Christmas? Step away from the hectic activities that come with the Christmas season and allow your spirit to be refreshed and calmed by this beautiful, interactive adult colouring book with 128 illustrated pages. 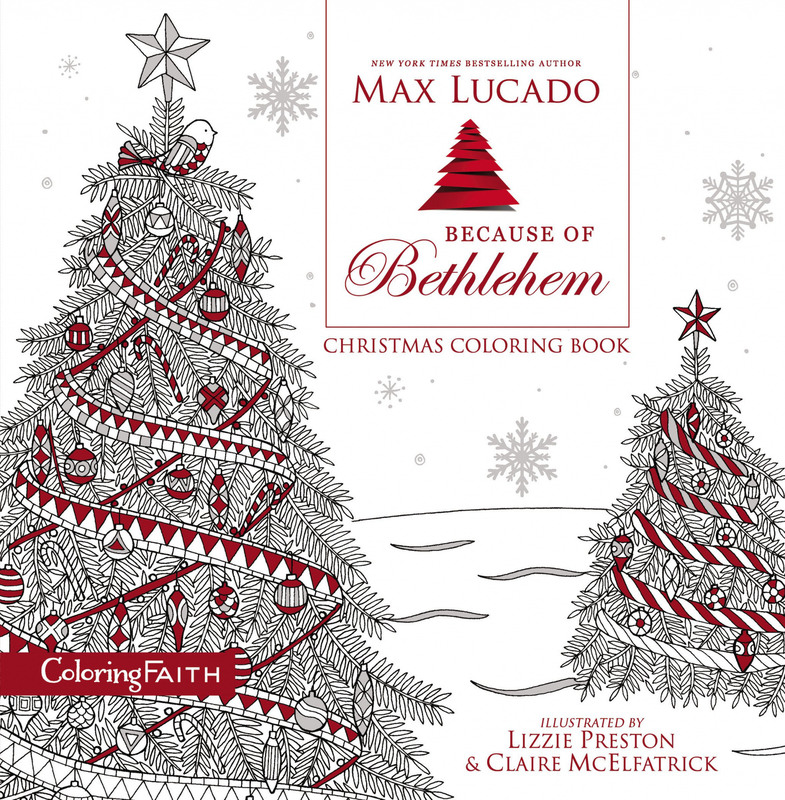 Full of inspirational Christmastime quotes from bestselling author Max Lucado, the Because of Bethlehem Christmas colouring Book is designed especially for those times when you need most to meditate on God's Word. Because of Bethlehem, we have a friend in heaven. And Christmas begins what Easter celebrates. The child in the cradle became the King on the cross. Because of Bethlehem, we have a Savior in heaven. Because of Bethlehem Love Is Born, Hope Is Here. The Because of Bethlehem colouring book is the perfect gift for creative members of your family and for friends and coworkers or to give to yourself to find calm and focus from the busyness of the season. 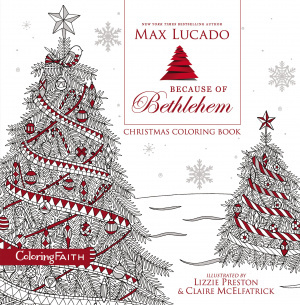 Because of Bethlehem Christmas Coloring Book by Max Lucado was published by Thomas Nelson in October 2016 and is our 14551st best seller. The ISBN for Because of Bethlehem Christmas Coloring Book is 9780718089788. Be the first to review Because of Bethlehem Christmas Coloring Book! Got a question? No problem! Just click here to ask us about Because of Bethlehem Christmas Coloring Book.